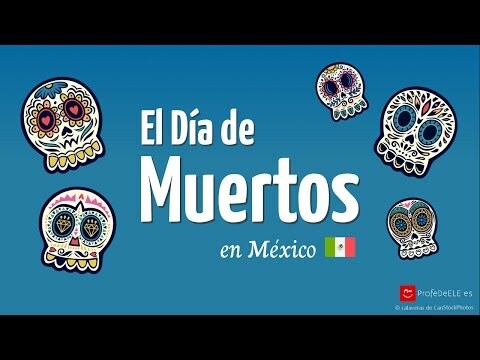 This reading and listening exercise talks about the Mexican celebration of El Día de Muertos (the Day of the Dead) which actually lasts more than one day as it is celebrated on el Día de Todos los Santos (All Saints' Day) and el Día de los Fieles Difuntos (All Souls' Day), 1 and 2 November respectively. It can help you practise relative pronouns and Forming passive sentences with "se" (la pasiva refleja). It is suitable for level B1 Spanish students.